Amelia Minerva Pennington, John William Albert Pennington, Alice Josephine Pennington, Robert Henry Pennington, Florence Elvinia Pennington. 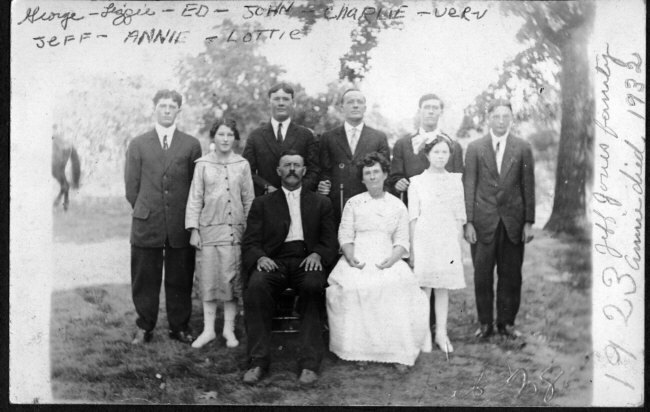 Setha Agnes Jones Pennington, Syrena Jane Pennington, Jessie Amos Pennington, John Thomas Pennington. George M. Jones, Eliza M. Jones, Edward W. Jones, John F. Jones, Charles J. Jones, Vern Jones. Jeff Jones, Anna Kelly Jones, Lottie Jones (daughter of John). 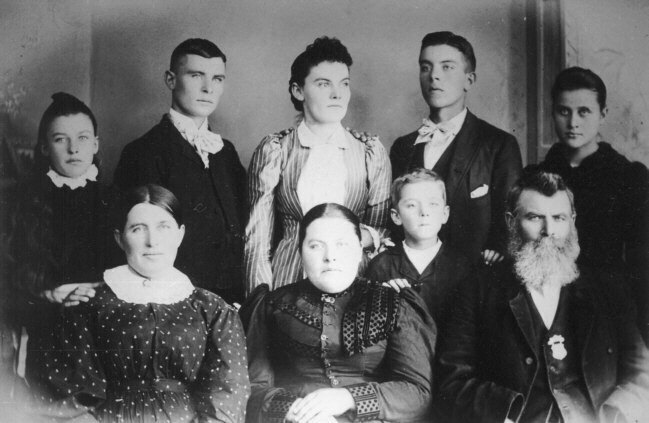 The Pennington family came to the township about 1880 from Adair Co., Missouri. John T. Pennington donated land for the Shady Grove cemetery and church in Section 9. Setha Jones Pennington was Jeff Jones' sister. The Jones family came to Mooresville Township about 1898 from Macon Co., Missouri. The two families lived across the road from each other in Section 9. Thanks to George F. Roberts III and his wife Linda of Mooresville, Missouri, for sharing these photos!